Life is too short to do all the things that we want to do. Yet, often when presented with an opportunity or when we have the choice to do something that we’ve wanted to do, we are unsure if we can do it. We hesitate to make that decision because we are scared to say “Yes”. We are worried thinking what if we fail. But while we do this, we often fail to ask “What if we succeed?” If you start off telling yourself that you can’t do something, it is almost certain that you will not be able to do it. Many times the outcome of doing a certain thing depends on the confidence that we have in ourselves. 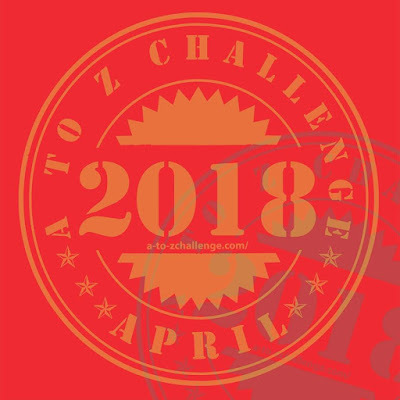 Last month I took up the A to Z Challenge – a blogging challenge that requires you to post a new post everyday in April apart from the Sundays. I’d done it before but this time I was uncertain if I could do it. Reasons? I was well prepared with a theme and what I’d be writing about each day last time around. This time I had nothing. I thought of giving the challenge a miss just because I thought I wasn’t prepared. But call it FOMO or a little bit of craziness with some dollops of confidence of having written something daily earlier, I decided to take up the challenge just hours before the start of the challenge. It went on smoothly during the first week. The second week was when disaster struck. Well, not literally but let us say it was a disaster to my plan of writing daily. Few urgent things came up at work and I had to extend my working hours. Not by an hour or two – more. I came back at 11.30 pm one night and I thought it was the end of the challenge for me. I was so tired that I just wanted to sleep. But the post had to be written. I wasn’t the one to give up. I decided to sleep and wake up early the next morning and write. And that I did. It wasn’t just the fact that I’d written the post that made me happy. There was more. I didn’t have a word in mind for what to write that day. For the other days, I spent considerable amount of time in searching for the word. But when I woke up that morning, a word popped up in my head and the whole story was built on that. I typed the post in half an hour because that was all the time I had as I had to go back to work and I couldn’t skip break as I already had skipped dinner the previous night. My earlier posts had taken me longer. Why? Just because I knew I had more time! Just because I’d made up my mind that I would write my post despite the shortage of time and made sure that I sat down to write it, I wrote it. A thought lead to an action. Yes, a thought should lead to action. Otherwise it remains just a thought. But it is important to have a thought to lead to an action. Often we don’t trust ourselves. We do not trust in our abilities. That is why we end up not succeeding. Maybe if we’d believe in ourselves a little more and love ourselves a little more, we’d all be better! If you think you can do something and work towards it, you can do it. It all starts with a thought – a positive mindset! Linking this to Monday Musings at Everyday Gyaan. Congratulations on sticking with it and really challenging yourself, Reema. Well done! Congratulations, Reema. You did great, though I just managed to read one or two of your posts. Your tenacity is commendable. This was a discussion I was recently having with a friend and I’m so glad you revived it back for me today with this reminder. Kudos on sticking with the challenge and finishing it despite crazy work hours!